Excellent sources of vitamin C, limes have been used for centuries for various ailments, including diabetes, heart disease and nausea; however, the fruit also has an assortment of other benefits. 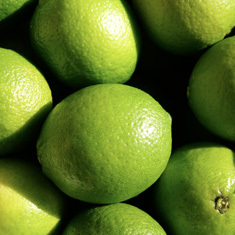 If you find improved eyesight, clearer skin and a slimmer figure appealing, then limes are the fruit for you! Additionally, with the acidity of their juice and floral aroma, limes are a favourite natural additive to accent the flavours of many foods and beverages. Whether you make a refreshing cocktail, create homemade jam or simply splash some juice on your next meal, you will be sure to find a way to incorporate this mouth-watering fruit into your diet. Do you have indigestion, morning sickness or asthma? Or perhaps you plan to travel and are worried about motion sickness? It seems like just about any ailment can be relieved by the amazing natural properties of ginger. 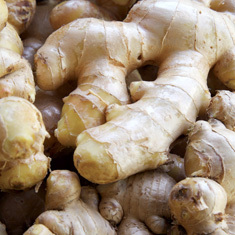 When used as a tea, ginger can also help headaches and will make that cold or flu more bearable. As an ingredient in cooking, ginger adds a hot, fragrant spice to meals and is often used as a quintessential ingredient in Indian, Chinese, Korean, Japanese and many South Asian cuisines. It is also used as flavouring for recipes such as gingerbread cookies, crackers and cakes and acts as a useful food preservative. Labelled as one of the world’s healthiest foods, sweet potatoes can help us live longer and happier lives. From reducing heart attacks to warding off the common cold, there are many reasons to eat sweet potatoes. 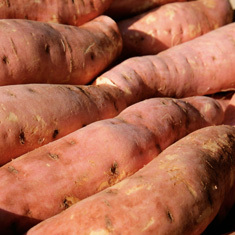 The red sweet potato is particularly appealing with its delicious colouring and range of serving options. It can also be included in a variety of popular recipes, such as red curry, Sheppard’s pie and chicken with roasted sweet potato salad. Alternatively, the vegetable can be used as a side dish on its own, with caramelised onions or with rosemary and parmesan. Only distantly related to the regular potato, yet just as useful in the kitchen, the sweet potato is highly digestible, rich in vitamin C and has a distinctive sweet flavour. However, the always popular white sweet potato is more savoury and moist than its red or gold cousins, and is an outstanding accompaniment to main meals. There are a range of ways to cook white sweet potatoes; try the vegetable with chilli and garlic, make sweet potato chips or roast white sweet potatoes with red onions, rosemary and parmesan. No matter how you choose to have your white sweet potato, you will be sure to be coming back for more! With a beautiful colour that does not fade when cooked, the gold sweet potato makes for an excellent option when entertaining family and friends. To ensure you leave your guests’ mouths watering for days to come however, it is important you choose your potatoes wisely; when purchasing gold sweet potatoes always ensure they are free from bruises, soft spots, shoots or green patches. Good quality gold sweet potatoes, without the aforementioned blemishes, will keep well in a cool, dry place, but not in a refrigerator. Roast, steam or boil your gold sweet potatoes, or enjoy some delicious golden mash. They reduce the risk of cancer, help remove cholesterol from the body and assist in fighting off infectious diseases. Research has also found that the fruit improves eye sight, maintains clear skin and regulates blood pressure. Sweet, yet tart, passionfruit has it all. 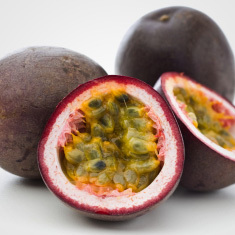 Round to oval in shape and either yellow or dark purple at maturity with a soft, juicy interior; there are few foods more mouth-watering than the passionfruit. You can choose to eat the fruit straight, add it to a meal or fruit salad, or enjoy a refreshing passionfruit beverage. Garlic isn’t only for those who want to ward off vampires. A popular flavouring in Mediterranean, Asian, African and European dishes, garlic can be used to create delicious, aromatic dishes while improving your health. Studies have found that the herb can be used to lower blood pressure and cholesterol, and is widely thought to lower the risk of developing some forms of cancer. 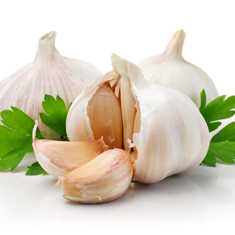 Consuming garlic can also help fight colds and improve inflammations. While many people avoid the delicious herb due to its infamous side-effect of causing bad breath, this is not necessary as there are milder versions of garlic available. 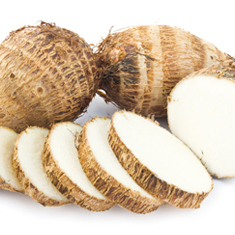 They can be roasted, baked or boiled, and are famous for their natural sugars and sweet nutty flavour, but the real benefits of the taro are that it is one of the finest sources of dietary fibre around, is rich in antioxidants and vitamins and is gluten free. 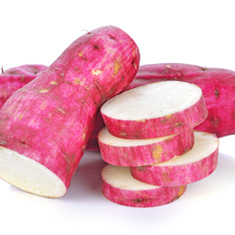 Believed to have been one of the earliest cultivated plants, taro is a food staple in many cultures. There are a range of delectable recipes world-wide that incorporate taro, such as the traditional Polynesian coconut pudding and south Indian soups. 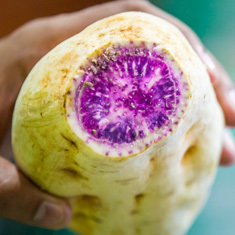 It is important to remember that the taro should not be eaten raw due to harmful side effects, but is perfectly safe once processed and cooked. 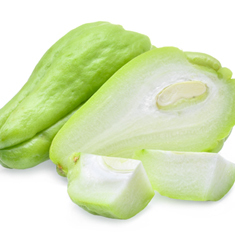 Also known as Chayote, Choko is originally from Mexico and is known as a ‘super food’, with over twenty health benefits, including assisting with lung, brain and spine health. Like many ‘super foods’, Chockos also decrease the aging process and the risk of cancers, while boosting the immune system. The choko does not need to be cooked, but many people choose to eat their chokos boiled, stuffed, mashed, baked or fried. This ‘super food’ is often served with salt, butter and pepper, and if you wish, you may include the leaves, seeds and stem in your meal.